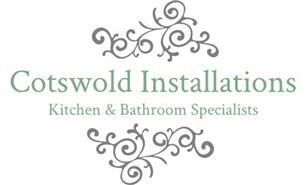 Cotswold Installations - Bathrooms, Kitchens, Plumber based in Gloucester, Gloucestershire. We are a small team of experienced and commited installers who pride ourselves on creating the best kitchens and bathrooms for your needs. No matter what the budget or size of the space, the one thing that never changes is our commitment to quality and our exceptional standards of workmanship. We will listen to your needs and make sure we leave you with the perfect installation. We believe that what sets us apart is the passion we have for what we do and that we always work to the high standards we would expect in our own homes. We have a little saying at work "do it right the first time" and this is why we happily honour a ten year guarantee.